From the moment you step aboard, you’ll see that Norwegian Sky offers something for everyone. On our Bahamas cruises your options are nearly limitless with 10 dining options, free open bar, an onboard spa and casino that has all of your favorite games and slots. 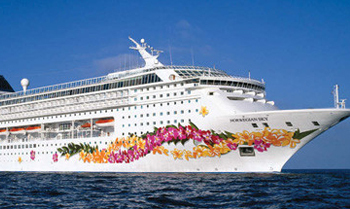 The popular Norwegian Sky offers 3- and 4-day cruises year-round to the Bahamas from Miami. If you’re looking for a vacation like no other take a 4-Day Cuba & Bahamas cruise from Miami. And, if you decide to bring the kids, we’ll keep them entertained all day, while you lounge by the pool, play in the casino, or enjoy dinner at one of many restaurants. 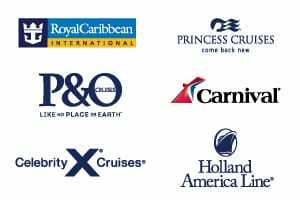 View all Norwegian Sky cruises, view a selection of Norwegian cruise deals, or view more options for Norwegian Cruise Line. Please note: All Norwegian Cruise Line departures within the next 30 days are not currently bookable online. 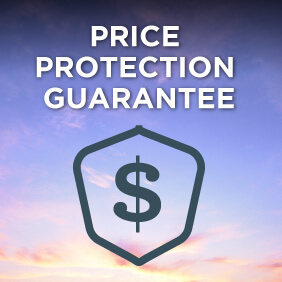 To make a booking, view all scheduled last minute Norwegian Sky sailings and then call us on 13 13 03 or request a callback during business hours and a member of our team will be to assist with pricing, availability and to make a booking. We apologise for any inconvenience. Just because you’re on vacation doesn’t mean you have to miss the game. Live broadcasts, sporting events, snacks, and breakfast and lunch buffet available. It’s located in the middle of the ship, where you’ll find the Main Reception and the Shore Excursion desk. Experience the latest trends in fashion jewelry and fun accessories. All items are $10 USD. There’s nothing like sparkling at sea. So splurge on a little something from our wide collection of cubic zirconia jewelry set in sterling silver. From earrings to pendants to rings, you’ll dazzle all day and night. Fore! Take your clubs out for a drive at one of two Golf Driving Nets onboard, because there’s no such thing as a lost ball or a bad drive on Norwegian Sky. Norwegian Sky’s meeting room area offers all the amenities of a world-class boardroom including a stunning view in a professional setting. The Maui, Oahu and Kauai rooms can also be combined into one large room. Stop by The Jewelry Shop to see a brilliant selection of irresistible fine jewelry designs. From Diamonds, Colombian Emeralds, Pearls and Gold and Silver Jewelry. The Mandara Spa offers unique and exotic spa treatments reflecting the beauty, spirit and traditions of rejuvenation from around the world. You’ll find everything from the traditional to the exotic in spa and salon treatments. You’ll find a well-stocked selection of things to read with all the elegant trappings Mark Twain himself would have appreciated, including a stellar view. It’s show time! And we’ve got a really big show for you at the Stardust Lounge. A stunning two-story main show lounge with a stage headlines the best entertainment at sea. The Stardust can also be used for large-group meetings by day. Teen center by day complete with Wii consoles, flat screen TVs and air hockey, disco exclusively for teens (ages 13 – 17) by night. It’s the perfect time to stop by the Watch Shop featuring watches from Invicta, Seiko, Philip Stein, Fossil, and Bulova. Prepare for a host of culinary delights at Crossing, where you can enjoy expertly prepared Chef’s Signature Dishes and an extensive daily changing menu of deliciously fresh flavors. All inside a beautiful room featuring impressive ocean views. You’re bound to find plenty of freshly prepared dishes to enjoy at this delicious buffet-style indoor/outdoor restaurant.